Earlier today, I was lucky enough to have a great seat at Chef Nancy Silverton‘s cooking demo at Macy’s San Francisco. 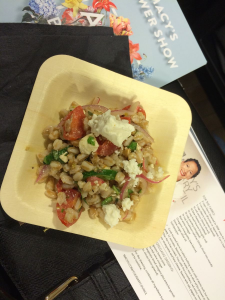 After having my first bite of this farro salad that she showed us how to prepare, I whipped out my phone, opened up my Instacart app, and placed a Rainbow Grocery order for all the ingredients, and scheduled it to arrive later this afternoon. 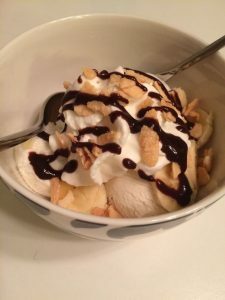 The ability to have a diverse range of high-quality food delivered to my home, at the swipe of my finger, has both seriously freed up my time, and encouraged me to be more spontaneous about trying new recipes, like this one. You see, I don’t drive. So going to the grocery store in person is the farthest point from a spontaneous act for me. Now, Instacart isn’t my first foray into grocery delivery. Back in the day I’d been a heavy user of Kozmo.com and Webvan. More recently, I’d also shopped via email at my local whole foods through the Shop Hoppers service. But those experiences pale in comparison with what I have available to me now. Instacart allows me to pick from a selection of local stores, including Falleti Foods, Bi-Rite, Whole Foods, and even Safeway. I additionally use good eggs to get a midweek farmers market delivery (key to ensuring I have good stuff to make a salad to take to work for lunch), google shopping express to get Target and BevMo delivered, and Caviar whenever I want to have dinner (or a couple of pints of Humphrey Slocombe ice cream) delivered. If I had the time, of course, it would be a lot more fun to go an pick out my groceries myself. But the reality of startup life is I’m out the door before 7 a.m. to accommodate 8 a.m. meetings with our EMEA offices, and home around 7 each night. Which is why being able to use my phone to manage my pantry on-the-fly, and easily obtain the ingredients I need to make exactly what I want to eat for dinner, is pretty amazing. Sometimes, you need a big batch of brownies to get through a cold Winter’s day. 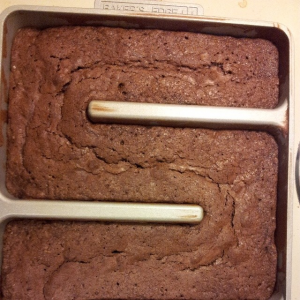 This recipe makes a nice thick brownie, and is ideal for use with the Baker’s Edge brownie pans (seen here). Sift flour, cocoa, and salt together in a large bowl and set aside. Cream sugar and butter on low speed with your mixer until combined, then add eggs and vanilla. After the mixture is well-combined, add in flour mixture and beat until texture is smooth. Stir in caramel chips by hand. Add batter to your favorite brownie pan and smooth to spread it evenly throughout the pan. Bake at 350 degrees for 25-35 minutes, until a toothpick inserted in the middle comes out clean. Cream vegetable shortening, sugar, egg, honey, and lemon extract in your mixer or a large bowl until light and fluffy. Sift in flour, baking soda, and salt; stir until well blended. Separate dough into 3 balls and wrap in plastic and refrigerate for at least 1 hour. Preheat oven to 375 degrees F (190 degrees C). Line cookie sheets with parchment paper. 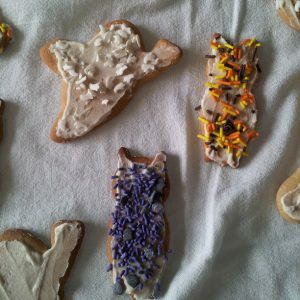 On a lightly floured board, roll dough 1/4-inch thick and cut into shapes with your favorite cookie cutters. Place 1-inch apart onto prepared cookie sheets. Bake 8 minutes. They will look pretty brown due to the honey but don’t fret! 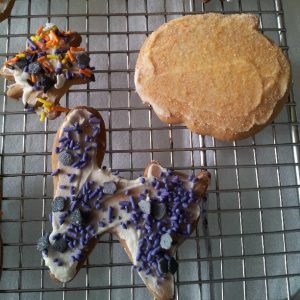 Adding the icing will moisten them up, making a crispier cookie better. 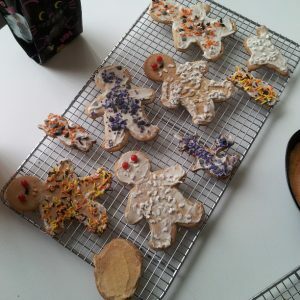 Decorate with your favorite royal icing and cover with festive Halloween sprinkles like these or colored sugar. Preheat oven to 350 degrees F. Butter a loaf pan or line it with parchment paper. In a mixer or a large mixing bowl, cream together butter and sugar until fluffy. Add eggs individually and mix until combined. Add vanilla extract and mashed bananas and mix until combined. Mix in dry ingredients, scraping down bowl, and mix until all flour is evenly incorporated into the batter. Stir in the rum and the chocolate chips. Pour batter into the loaf pan and bake for 70-80 minutes, or until a cake tester or toothpick inserted into the center comes out clean. Cool in pan for 15 minutes before removing from pan and transferring loaf to a cooling rack to cool completely. It’s one of those uncharacteristically hot San Francisco Fall afternoons. Which means it is the perfect time to make my favorite potato salad. 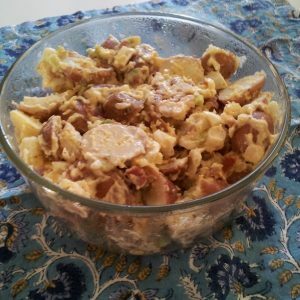 It’s the kind of potato salad that even the potato salad haters—who characterize potato salad as a slimy mayo-drowned side dish of evil — go back to for seconds. Bring a large pot of water to boil for your potatoes, while hard boiling 2 eggs in a small sauce pan for 10 minutes and frying up your bacon. Clean red potatoes and quarter or chop into bite-size chunks. Peel Russet potato and chop into bite sized chunks. Boil potatoes until cooked through and soft, 15-25 minutes. Once potatoes are cooked through, drain off water and add potatoes to bowl. Cool hard boiled eggs in an ice water bath, then remove shell and chop up and place in large bowl. Chop bacon into small chunks and also add to bowl. Clean green onions and chop up whites and light green portions and add to bowl. Add mayonnaise and mustard to bowl and gently combine all ingredients with a wooden spoon. Add freshly grown pepper to taste. Serve warm or chill for an hour in the refrigerator before serving. Yields approximately 8 servings. No, really. I hate going to grocery stores, pushing a cart around under the fluorescent lights. Going to smaller markets like Bryan's or the Haight Street Whole Foods is a nice compromise, but it is still going to the grocery store. Which is firmly planted on my no fun list. 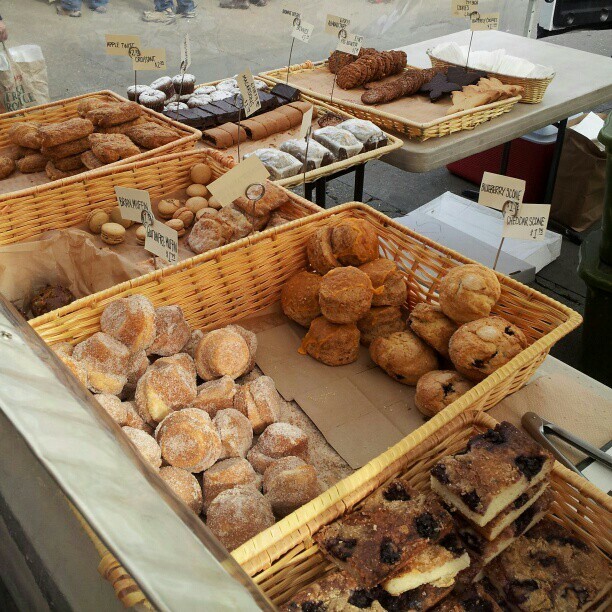 Which is why today we did our shopping for the food we'll cook and eat this week at the Ferry Plaza Farmers' Saturday market. We started out with brunch at the underrated Market Bar, where I had a friend egg, cheese and pork sandwich (with chipotle aioli, avocado tomatillo salsa and plantain chips) that was simply amazing. When it arrived I thought to myself there was no possible way I could eat it all. But I was wrong. I only left a crunchy bit of crust on my plate! There is just something so inspiring about buying food in the fresh foggy air, often from the people who are growing it. I can't wait to put all our produce and assorted treats to use this week. Having received a slow cooker for Christmas, and anxious to try it out, I picked up a nice big pork tenderloin roast at the grocery store this week. I typically roast these in my electric oven, but rarely have the patience to do so for longer than 2 hours. After all, it heats up the apartment and I have to keep an eye on it to ensure it doesn't dry out. Which is why I was excited about the slow cooker. 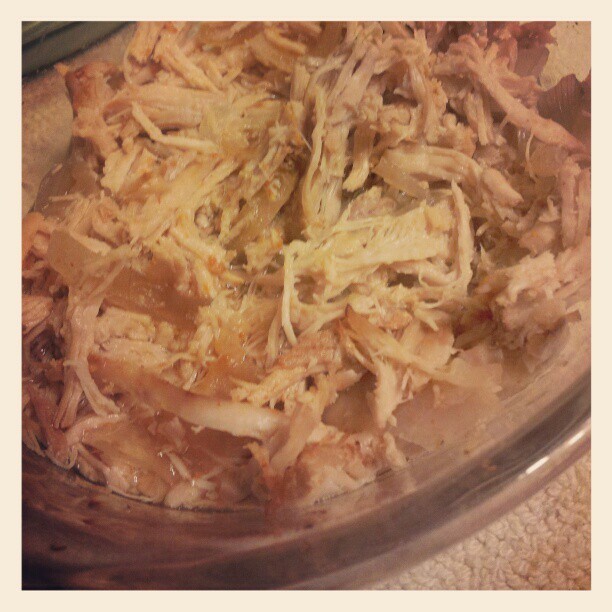 over the meat and place into 3.5 quart slow cooker. Add onions on top. Pour juice and beer over meat. 11-12 hours. Remove from cooker when done and shred with forks. If meat has cooled by the time you are done shredding, place in a glass dish with 2-3 TBSP of the liquid from the crock pot and heat at 350 until your desired temperatue for juicy shreds or under the broiler until your preferred level of crispness. tortillas, cheese and sour cream. After coming across Martha Stewart's pot pie recipe on an especially gloomy December evening, I got motivated to whip a couple up for dinner. 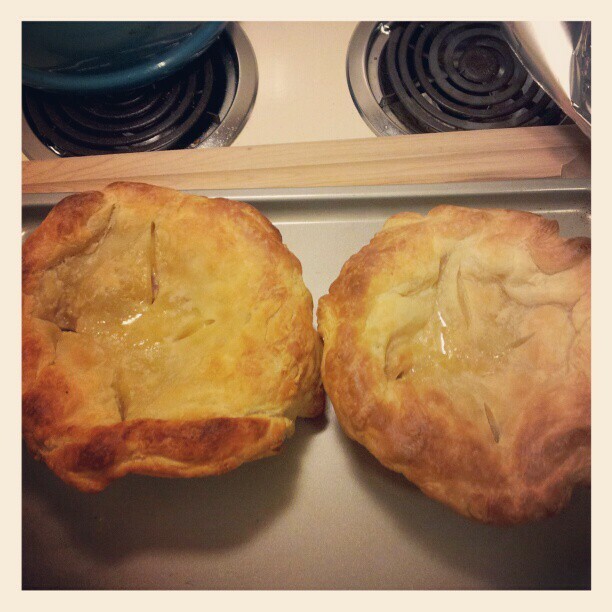 Although mine are not as pretty as hers (I should have trimmed my puff pastry more aggressively), I'm pretty sure I improved upon the tastiness a little bit, in addition to slimming down the recipe to be just enough for two robust pot pies. Heat oven to 350 degrees. Spray glass baking dish with 1 TBSP olive oil. Add all vegetables and chicken to dish, season with salt and pepper, and drizzle with 1 TBSP olive oil and bake until vegetables are starting to brown. Stir vegetables every 10min to keep from drying out. Should be ready in 45 minutes. Let chicken cool, then chop into bite-size chunks, and add back to dish of vegetables. and pepper. Add to bowl with chicken and vegetables; toss to combine. It's becoming a holiday tradition for me to make my bread pudding for bringing to our Sonoma Christmas dinner with L's family. Preheat oen to 325 degrees. Beat eggs, milk, sugar, vanilla, nutmeg and bourbon together. Add bread chunks, stirring them into the egg mixture. Let sit for 30 minutes to allow bread to soak up the egg mixture. Pour into buttered 2 quart baking dish. 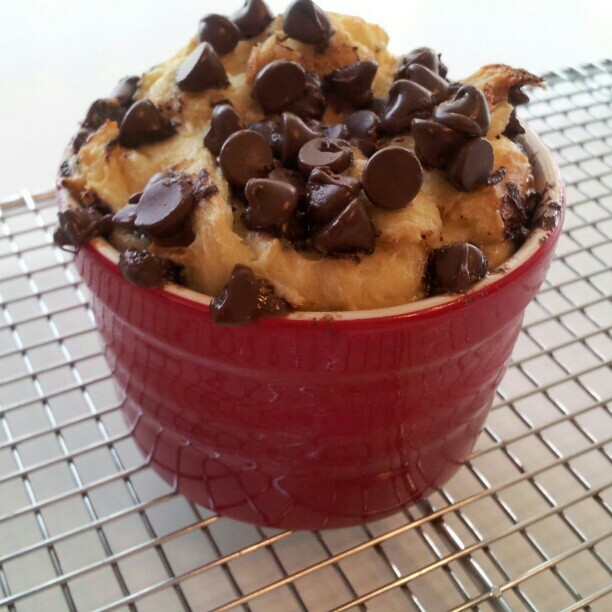 Add chocolate chips and gently toss with bread chunks. I don't usually head out to the market on Christmas Eve. But this year, with it falling on a Monday, and our week's grocery shopping having been done the prior Wednesday, it just hadn't felt right to buy everything that far in advance. And thus, I ended up on the 1 California bus, along with a few dozen senior citizens and 4 parents schlepping their brood of children off to somewhere closer to downtown from our end of the Avenues. My destination? Bryan's. A small fancy neighborhood market in Laurel Village, about two miles from my place. When I first moved out here, Bryan's used to have a standalone meat shop in the same block as their grocery store. It was a wonderous place– with every conceivable cut of meat for which you might ever read a recipe. A few years back, they consolidated the butcher shop into the store, but it's still the first place I think of in my neighborhood when I want to go find a nice cut of meat to build a dinner around. 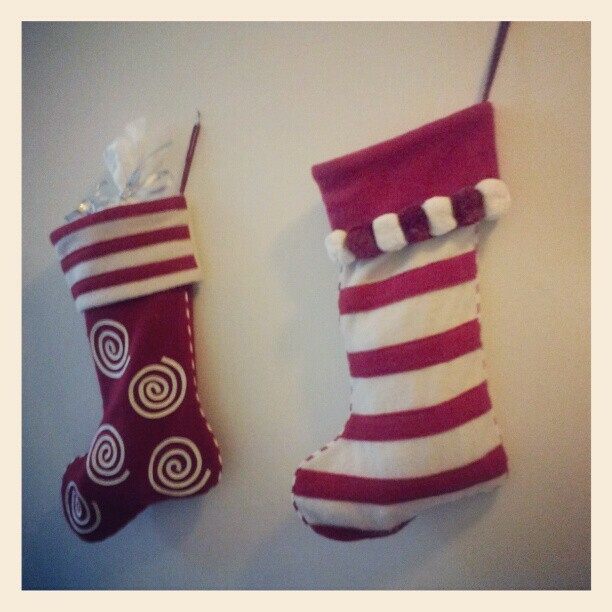 Although the place was packed with last minute shoppers like myself, it had a happy hum. Neighbors we're exchanging Merry Chistmases and hugs in the dairy aisle. Strangers were smiling at each other and giving unsolicited advice on produce. I even got into a conversation with a stranger while waitng to check out, which pretty much never happens at any other grocery store. I'd entered with the thought of making lamb, but the whole pork tenderloins just looked so amazing I went with that instead.I'll roast it in a peach marinade I picked up there, and serve with roasted yukon gold potatoes and apples, and fancy greenbeans (with bacon+onions.) And we'll have a teeny bread pudding as a preview of the one we're bringing to christmas dinner tomorrow. Inspired by the pork rillettes and spanish chorizo, I'm doing a charcuterie and cheese plate as our starter. And it will all be accompanied by champagne, naturally. 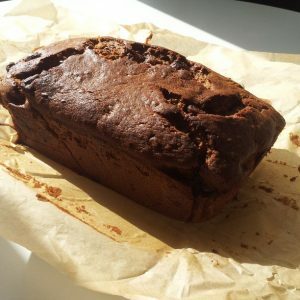 Recipes and photos of the final dishes to come!